Maddie's first backpacking trip at age two, 2 nights, 3 days, 7 miles. Getting ready for our 3 day backpacking trip at the trail head at Crosby Manitou State Park. 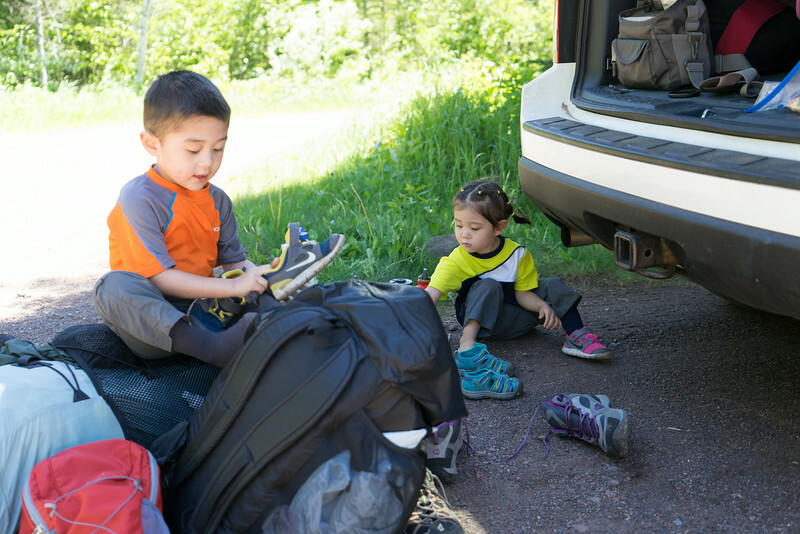 The kids put their own socks, shoes, and packs on!